No need to tow your car to the shop. We'll come to your home, business, country club, work place, school - you name it. You can go about your business while we are fixing/servicing your car or truck! Tips And Tricks To Keep Your Car Happy, And You Safe!!! Is Your Engine Light On? Do you Just Need a Tune Up? If your car shakes, sounds funny, vibrates while accelerating, this could be due to a defective sensor or you may just need a tune up. Call us today we can help. Is Your A/C Not Cold? Is Your A/C Not Even Turning On? This Summer We Are Here To Help You. If your A/C is not cold, often times you're just low on freon or you have a bad seal. Be worry free and call us today. Do You Know If Your Belt Needs To Be Changed? Is Your Alternator Charging Up Your Battery? If your serpentine belt breaks, it could cause damage to your engine and you could lose power in your steering. Call us for a free check up. Is Your Car Over Heating? Do You Have a Mysterious Water Leak? 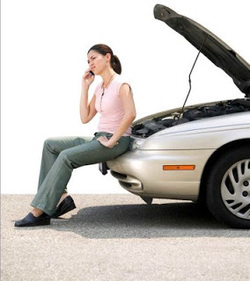 If your car is over heating, you could have a broken fan, bad thermostat, leak, head gasket, or just a bad radiator. You can call us to find out for sure!